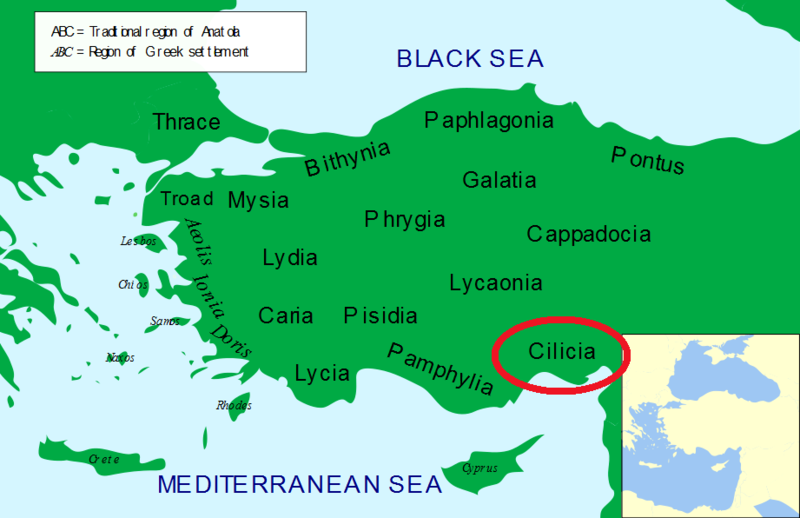 In antiquity, Cilicia (also spelled Kilikia) was a southern coastal region of Anatolia, extending inland north from the Mediterranean coast, east from Pamphylia, to the Amanus Mountains, which separated it from Syria. Ancient Cilicia was naturally divided into Cilicia Trachaea (rugged) and Cilicia Pedias (flat) by the Limonlu River. Cilicia Trachaea lacked large cities, and was a hotbed of pirates as well as a great source of timber. In Cilicia Pedias stood the great cities of Tarsos, Adana and Mopsos.